Are You a Clementine or a Margaret? So it’s Clementine season again with all of my first grade classes. We’re actually almost finished with the now-annual adventures of Clementine, Margaret, and the pigeons. 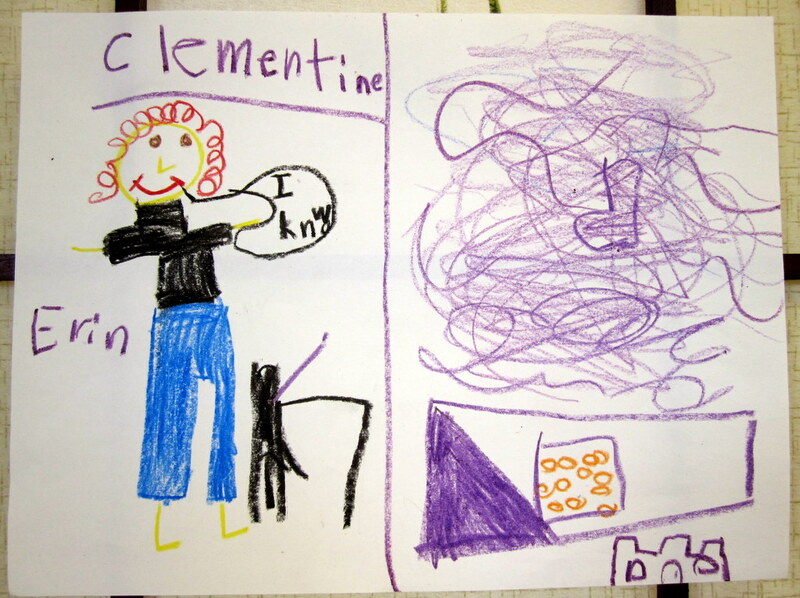 Before the holidays I took a page out of this teacher’s guide for the book and asked the kids to think about whether they were more like Clementine (messy, active, gets into trouble, comfy clothes) or more like Margaret (neat, nice clothes, tidy room, lots of rules, kind of bossy). 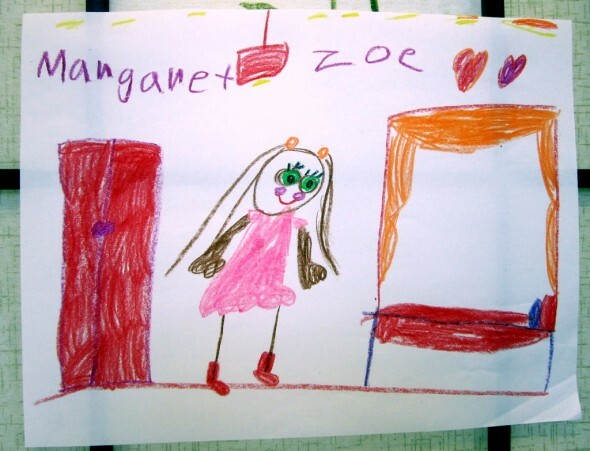 Then the kids illustrated some pictures of their characters. I was surprised how many boys identified with neat and tidy Margaret, I thought for sure I’d see some more gender divisions there. It was great, and their pictures were pretty neat, too. That’s Clementine’s messy room in that cloud on the right, and her apartment building at the bottom. I’m pretty ssure those are Cheerios in between. I kind of think Zoe’s portrayal of Margaret is spot on. This Month with Kindergarten: Imagination!